September 26, 2018 by Laurie Leave a Comment This post may contain affiliate links, which means if you click on a link and purchase something, I may earn a small commission (at no additional cost to you.) See my disclosure policy HERE. 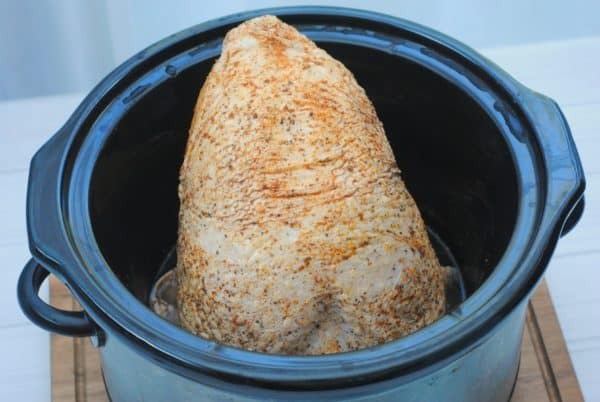 Can you make a turkey breast in the crock-pot? You absolutely can! 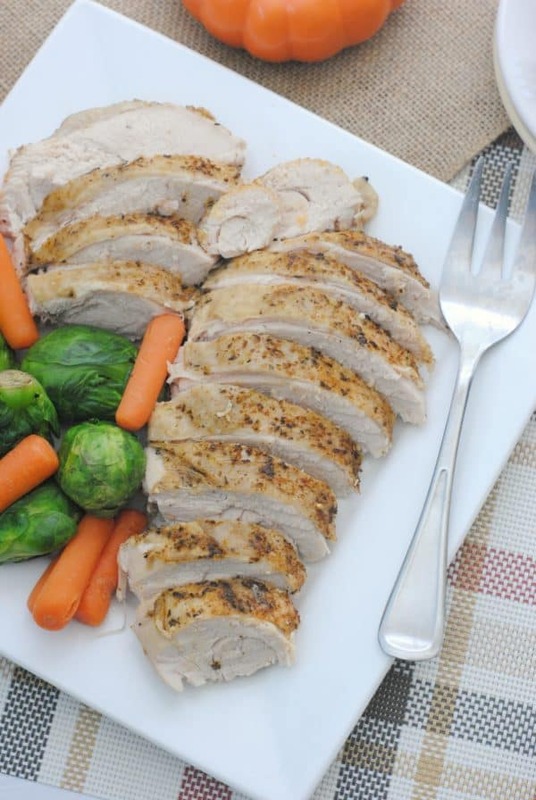 I always grab a few turkey breasts when they're on sale around Thanksgiving and Christmas, so we can have an inexpensive protein to add with a veggie. 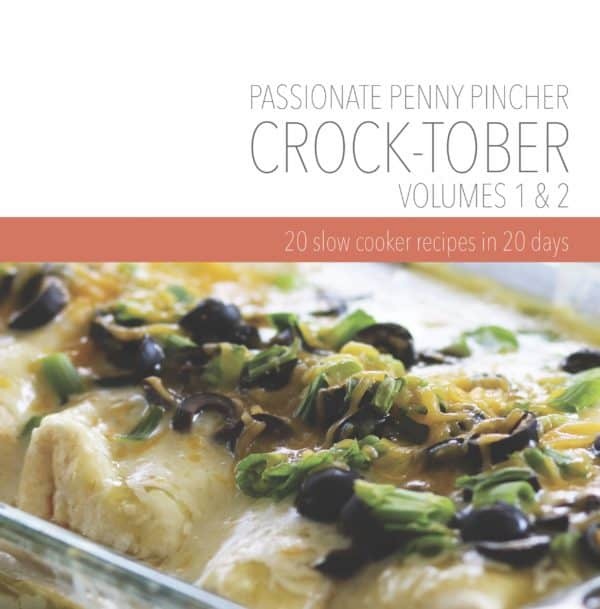 It doesn't take all that long to cook in the slow cooker at all. 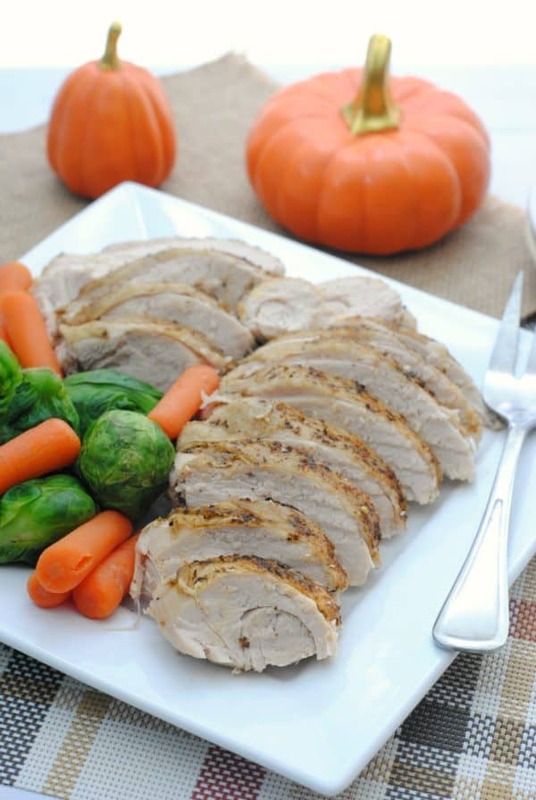 Boneless turkey breast recipes can be incredibly flavorful too. 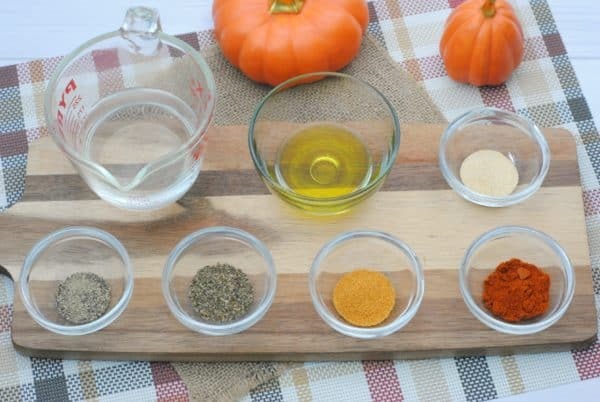 I know we usually think about making turkey only around Thanksgiving with traditional spice combinations, however the spice mix in this recipe can be used year-round and it comes out savory every time! 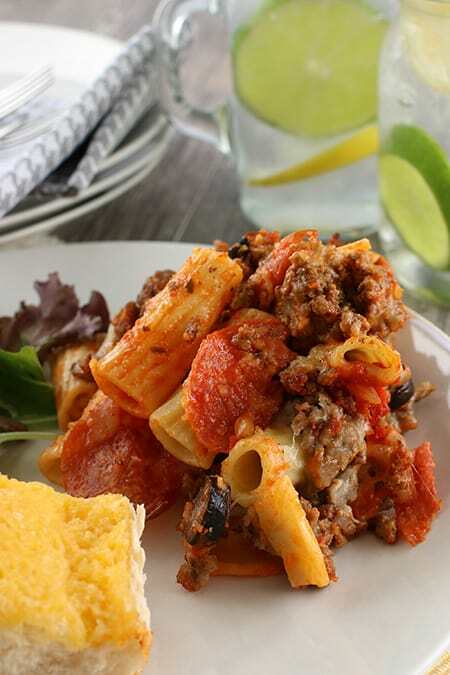 Being able to literally pop this in the slow cooker (aka Mrs. Potts at our house) makes this recipe soooooo simple, and an easy way to free up your oven too. 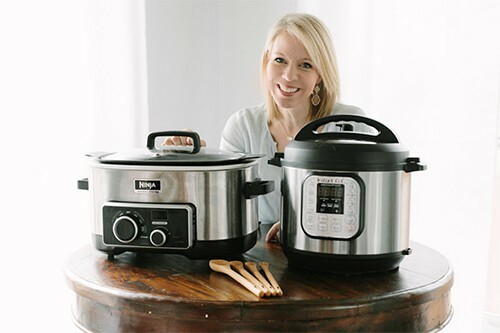 When you're baking lots of dishes on a holiday, you need all the extra oven space you can get, so let the slow cooker do the work and don't worry about putting the turkey breast in the oven this year! And, in case you're curious, a decent price on bone-in turkey breast is 99¢ – $1.49/lb. (Prices will vary by area and time of year, but that's what I'm always aiming for!) 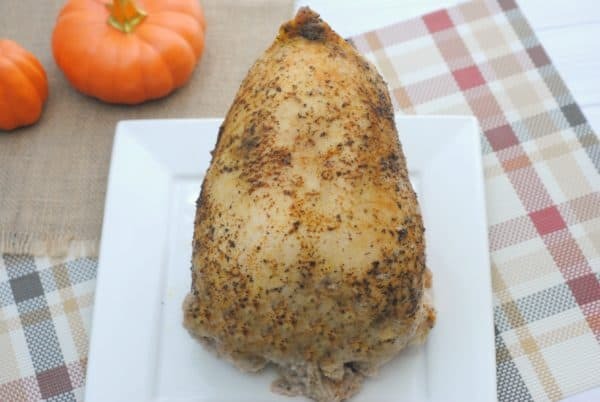 Since turkey breasts are normally at their best price in November, pop an extra in your freezer, and don't get stuck paying full price in May. Or, you can pop an extra turkey-breast in the crock pot when it's on sale, and freeze the meat once it's cooked to save for soups, stews, and casseroles too! Print your grocery stock up price guide HERE. 1. Open turkey and discard packaging. Rinse turkey off and pat dry with paper towel. 2. Brush the 1 tablespoon of olive oil over the turkey. 3. Combine the seasoning in a small bowl and generously rub over the turkey. 4. Pour 1/2 cup of water into the slow cooker and add prepared turkey. 5. Cover and cook on low for 5-6 hours. 6. Once the turkey is cooked through, prepare your side dishes. 7. Gently remove the turkey from the slow cooker and use a sharp knife to slice the breast off the breast bone then slice the meat and plate. If you prefer a crispy skin, you can set the turkey under the broiler for 5-10 minutes so that is crisps up. The inside will still be moist and juicy when you cut it to serve.